Visiting Chinese President Xi Jinping put forward a six-pronged proposal for next-stage development of Sino-U.S. relations. 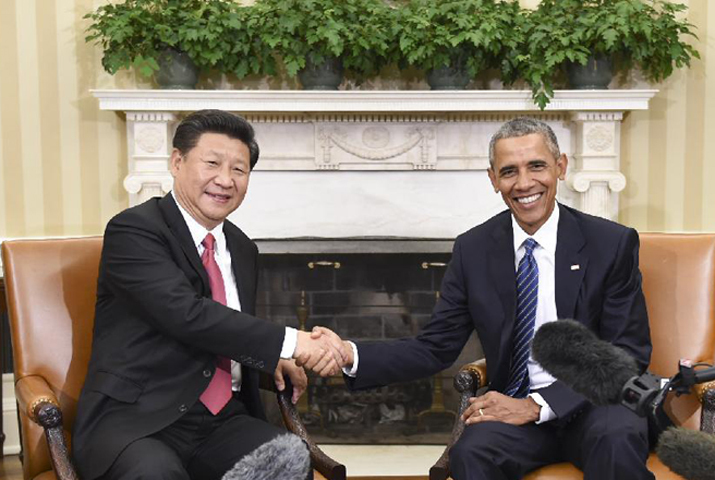 Xi made the suggestions in his talks with U.S. President Barack Obama at the White House, which culminated his four-day first state visit to the United States. -- The two sides should maintain close exchanges and communication at all levels. Major bilateral mechanisms like the Strategic and Economic Dialogue and the High-Level Consultation on People-to-People Exchange should be brought into full play. -- The two countries should expand and deepen practical cooperation in various fields, including economy, trade, military, anti-terrorism, law enforcement, energy, environment and infrastructure. -- China and the United States should promote people-to-people exchange and consolidate the social basis for bilateral relations. -- The two countries should respect their differences in history, culture, tradition and social system, as well as development path and development stage, and learn from each other. -- The two sides should deepen dialogue and cooperation in Asia-Pacific affairs. -- They should jointly deal with regional and global challenges, enrich the strategic connotations of their relations, and provide the international community with more public goods.